The Specialized Crosstrail range combines rapid road speed with off-road riding ability. 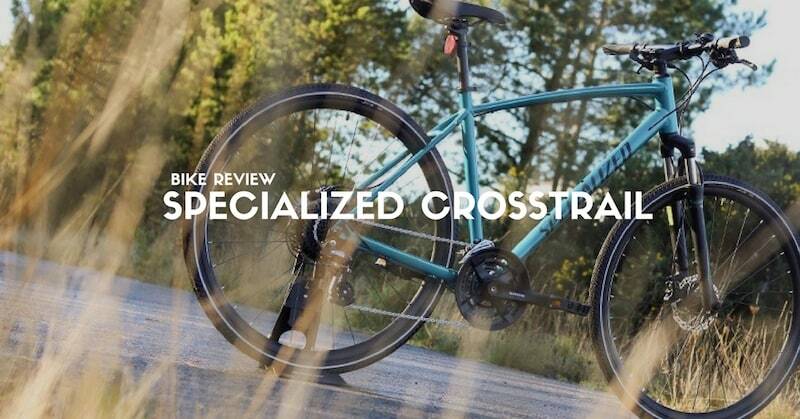 The Crosstrail is a versatile hybrid bike that is designed to offer a comfortable, efficient ride on every surface from smooth tarmac roads to rough gravel tracks. Fast rolling 28inch (700C) wheels are fitted with wider tires for greater comfort, giving greater control when combined with the suspension fork. The aluminum alloy frame found in this bike allows for the same upright riding position, matching the comfortable position of a mountain bike. Wide gearing range gives this hybrid bike the ability to go any distance you like to. To ensure that you are riding pain-free, the bike comes equipped with scientifically tested ergonomic touch points branded “Specialized Body Geometry” that are comfortable to hold & sit on and safe to use over longer riding periods. The Specialized Crosstrail range comes with Specialized proprietary A1 Premium alloy frames which have a good balance of weight, comfort & strength. The decals on all models also have reflective detailing to help visibility on the streets in low light condition, a great feature especially if you find yourself riding early mornings / late evenings. On the front of this bike, Specialized has worked closely with SR Suntour to exclusively introduce Multi-Circuit Damping in their suspensions. These basic suspensions now have basic damping mechanisms giving a supple ride and greater control on varied terrain — even on potholed or broken Indian roads. The forks are either 55mm or 60mm travel depending on the frame size you choose. There are 3 constant touch points for a rider on the bicycle i.e. saddle, handlebar grips & pedals. The rider’s weight is distributed over these three touch points and it’s critical that the ride is pain-free and enjoyable, even over extended distances and periods of time. If you’re constantly shifting your seating position, stopping on the roadside to relieve pain, constantly shaking your palm to destress – its time to have the saddle or your posture checked from an experienced local bike shop. The Specialized Crosstrail comes already equipped with Body Geometry saddle & grips to ensure your ride is safe and comfortable. The correct saddle width along with a center cut out allows a firm seating posture without applying pressure to the sensitive groin tissue. The grips have a specific well-researched contour shape to ensure your palm are well supported and comfortable at all times. Again, both these lend to a massive ride quality difference on the Crosstrail. Across the range you’ll find 28inch road-sized wheels, providing rapid and easy rolling, allowing you to get to speed and keep your speed for long distances. The bike comes with wider rims and tires. Wider rims give the tires greater support, which in turn provides more control over the bike and greater traction. This means you can ride the bike with lower tire pressure, increasing ride comfort — if you think roads in India are similar to off-road, then this is definitely something to consider. Being the first category manufactured by the company, Specialized makes some really good bicycle tires with a lot of R&D backing and investment. The Crosstrail comes equipped with Specialized Trigger Sports tires. These are highly reflective of light in low light condition. There are reflective strips on either side of the tire to boost your confidence of being visible in a low light situation. The tires have the Specialized proprietory Flat jacket puncture protection level to ensure your ride remains puncture free. Great treading to ensure you’re rolling fast in the city and yet have good traction on the trails. To make sure you have all the gears needed in any giving scenario, Specialized has equipped the Crosstrail range with a wide gear ratio. Shimano triple chainring drivetrains along with 8 gears on the rear wheel are found on all models of the Crosstrail. The base model comes with the mechanical rim brakes and the models above have Tektro Hydraulic disc brakes with 160mm rotors for effective stopping power. The Crosstrailis best suited for Commuting, fitness/cross-training for runners & also a good all-round bike if you’re looking to buy just 1 bike to do basic trails yet ride on good roads. Balancing road bike efficiency and mountain bike versatility, Specialized Crosstrail widens the world of cycling possibilities. It allows commuters to enjoy the benefits of a mountain bikes, where rougher surfaces aren’t an issue, while also keeping pace with traffic and other road users. From the entry-level model and all the way up the range, you can expect the same comfortable frame geometry, which gives a confident ride experience, no matter which model you ride. Models that are equipped with disc brakes, help you have better control in all weather conditions. For countryside adventures, taking on your daily routes through the city, or even forest trails, the Specialized Crosstrail will be that one bike that can handle it all and keep you smiling. While a lot of brands have similar looking products, we find that Specialized has put together a vastly different bike keeping the rider in mind. 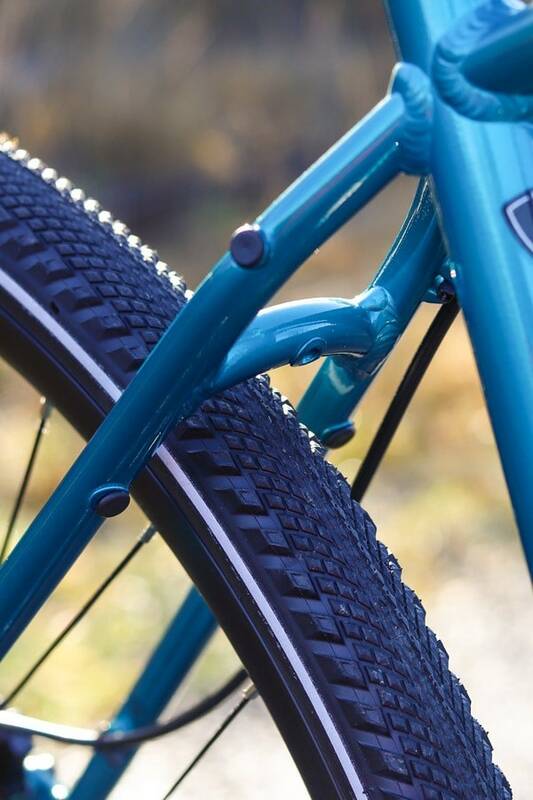 Inbuilt reflectivity in the frame and tires, ergonomic investments in important touch points, wide rims equipped with good puncture resistant tires, size specific Multi Circuit damping suspension – all add up to ensure the Specialized Crosstrail rides vastly different from similar products in the market.